Ntate Ntjoetso Lehloenya lives in a small house just a stone’s throw away from the Growing Nations Demonstration Farm at Maphutseng in Lesotho. 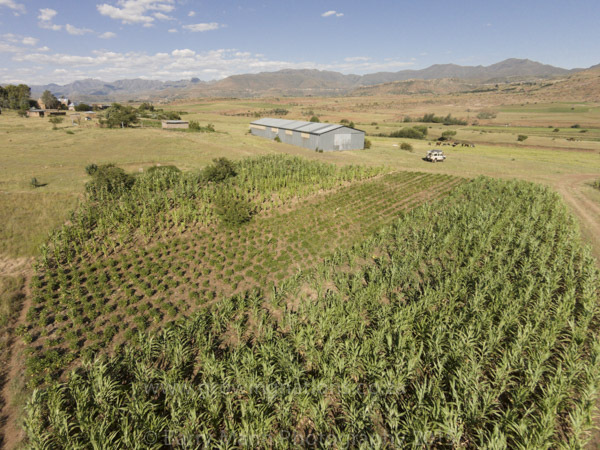 This is the fourth year in which he has planted using the same Conservation Agriculture (CA) methods that Growing Nations teach but despite living next door to Growing Nations Ntate Ntjoetso did not learn directly from them. 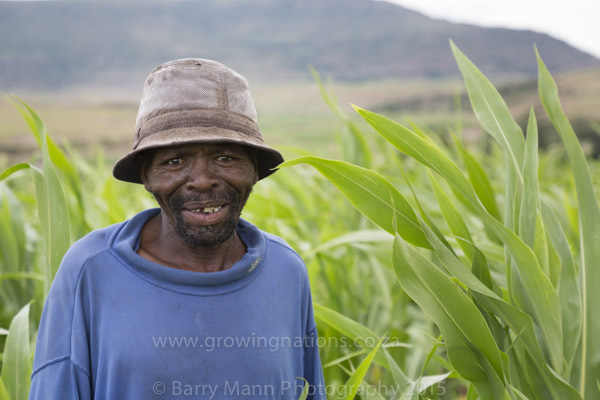 He learnt from one of his neighbours, Ntate Fusi, who is one of Growing Nations lead farmers. Ntate Ntjoetso moved to Maphutseng from another village several years ago to find work and watched Ntate Fusi farming using CA methods. He saw the yields that were being obtained and wanted to know more. After Ntate Fusi taught him the principles of CA he started implementing on a field a long distance away from the house where he was staying, one he had previously farmed using conventional methods but had never obtained any yields. The first year of CA was not a success with poor yields, mainly due to the distance the field was away from his house and the difficulty he had in maintaining it properly throughout the season, weeding being one of the major challenges of using CA methods. After the first year he made the decision to rent land closer to his house, so he could give the field the attention that it needed. The second year yields were better but not great with the plot yielding some 100kg of maize. Now into his 4th year his perseverance has paid off. The maize, sorghum, beans & pumpkins around his house & in a close by field look fantastic. Last year he grew enough food to see him through the year. Ntate Ntjoetso is a testament to the impact that the lead farmers Growing Nations work alongside can have in their communities through their high standard examples and their willingness to teach others & walk alongside them. Farmers like to see others, learn from them and implement themselves and it is wonderful to hear about farmers who have not been directly trained by Growing Nations but by others in their own communities, as a result of Growing Nations work over the years. 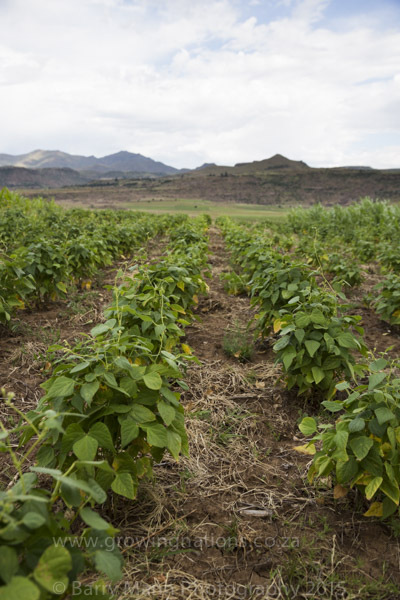 Experience shows this method of working with lead farmers across Lesotho, combined with farmer to farmer training facilitated by the Growing Nations agricultural extension team, produces long term results which have a real impact on farmers lives. As the network of farmers grows Growing Nations effectively acts as the catalyst to enable farmers to learn and promote best practices based on the findings from the research into different methods & crop varieties on the demonstration farm, reducing the risks & improving yields for farmers.